Meet Dan Dean. 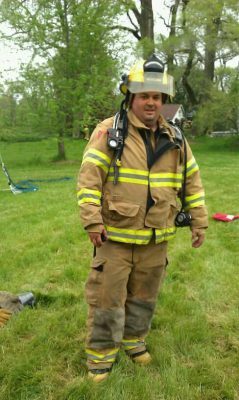 Part time Station Agent for our Madison, Wisconsin (MSN) operation, part time firefighter and Emergency Medical Technician (EMT) for Brooklyn Fire & EMS in Brooklyn, Wisconsin. Dan recently used his travel privileges to visit his son in Japan over spring break, but got an unexpected surprise on the way home after a connection in Seoul. Read on to find out how Dan saved a life – and paid it forward. The issue? Towards the back of the aircraft, a lady was unconscious after experiencing a medical issue and was having trouble breathing. With the aircraft over the middle of the Pacific ocean, diversion and medical support options were severely limited. Throughout the remainder of the flight, Dan worked with the crew to administer fluids and oxygen to the customer. Once she was revived, Dan stayed alongside the customer to make sure she was in a suitable condition for landing. The flight landed safely in Dallas/Fort Worth (DFW) where the customer received additional medical attention before taking her connecting flight the following day. 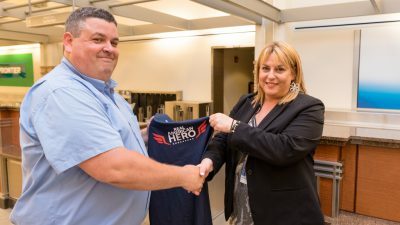 Her 15-year-old son – who was also on board the aircraft – personally thanked the crew for their lifesaving actions. 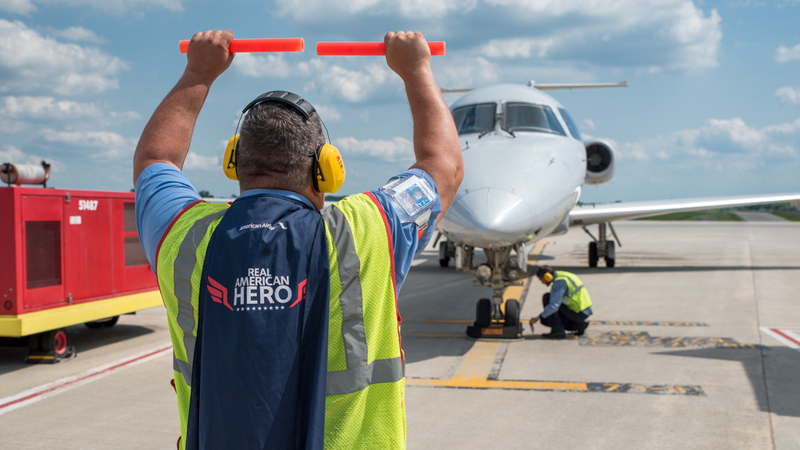 Back in Wisconsin, the Envoy team gathered to surprise Dan with an American Airlines Real American Hero award – which comes with a $1,000 cash prize and a very special hero cape. Here’s to Dan and the crew of AA280 – you’re all heroes.